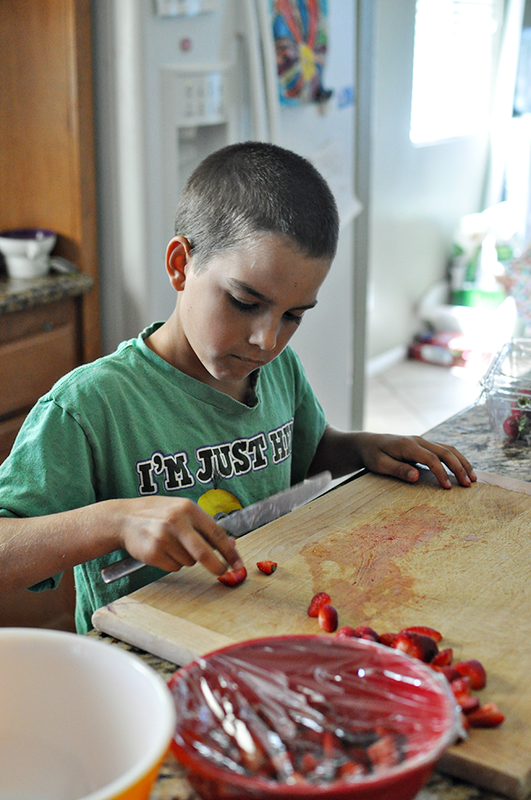 I recently shared a kids recipe book and my love for cooking with my kids. Did you download and get cooking with yours? 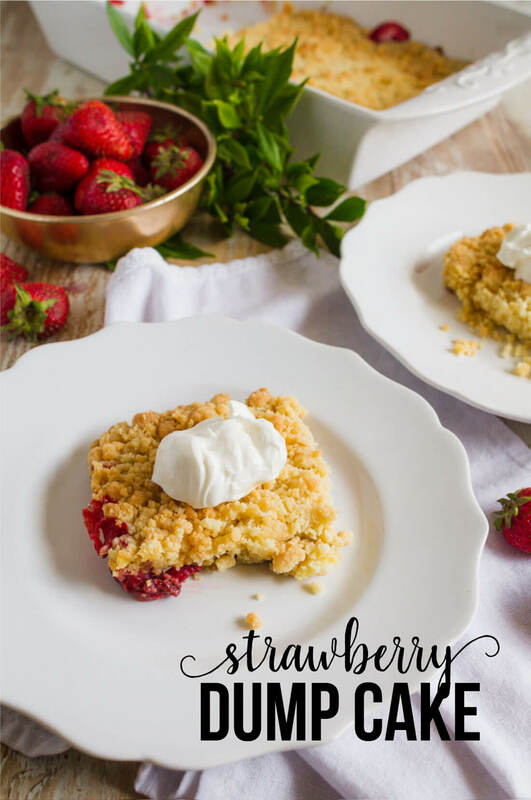 Today’s Strawberry Dump Cake is super duper easy. You can make it or you can get your kids (grandkids, nieces/nephews, etc) involved. My 8 yr old pretty much did it on his own with just my supervision. You only need a few ingredients to make this. Before you get scared by the name (my brother gave me a hard time about it… ahem). It is called a “dump cake” because you dump all the ingredients in. That’s what makes it so easy! Drew took his job very seriously. He used a butter knife to cut the strawberries. It was age appropriate and worked perfectly. Cooking is one of his favorite things and he asks me all the time to make things. He has a pretty refined palette for such a young guy. And he’s said “that needs a little bit of ________” (insert a spice or ingredient here) several times. He cracks me up! If baseball doesn’t work out for him I can see a future as a chef. 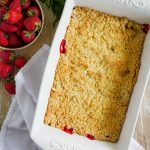 This Strawberry Dump Cake is easy enough for the kids to make and tastes SO yummy!!! 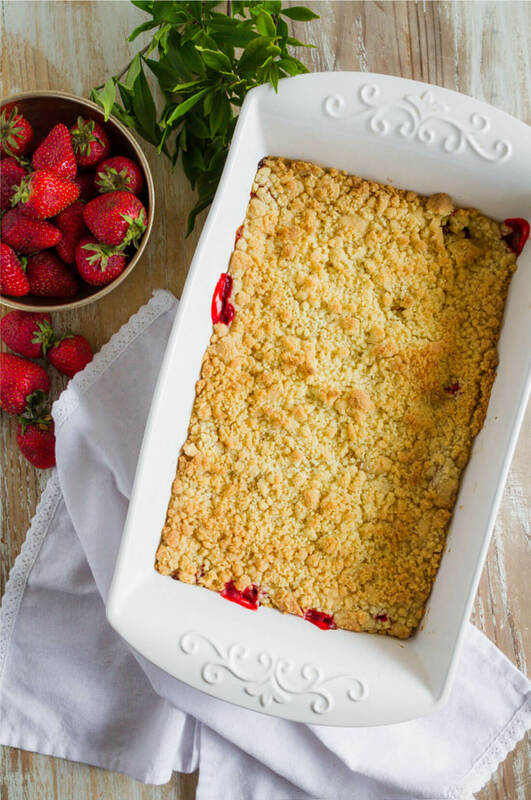 Line a 9×13 baking dish with strawberries. 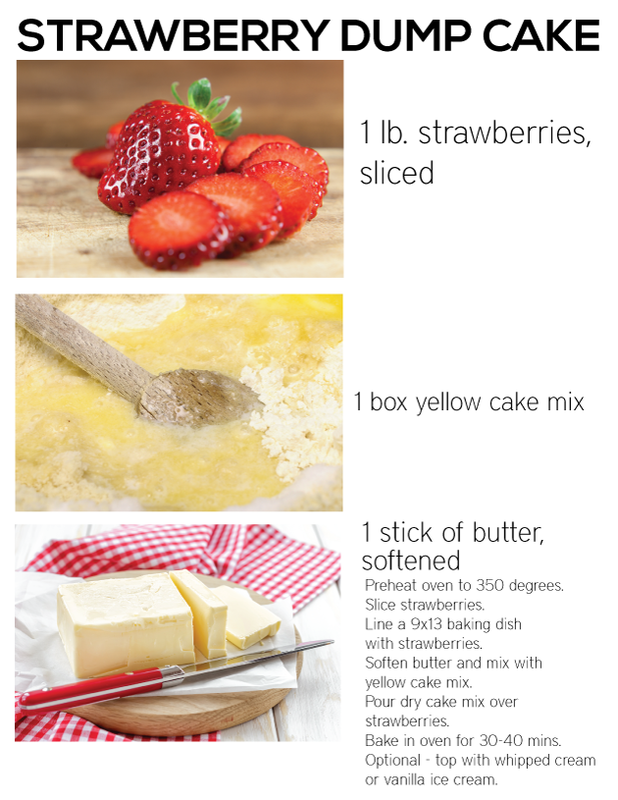 Soften butter and mix with yellow cake mix. Pour dry cake mix over strawberries. Bake in oven for 30-40 mins. You can definitely switch out the strawberries for another fruit. You can also use canned fruit like canned strawberries or canned cherries. And make sure to add this to the kids recipe book! It’s the perfect starter recipe for anyone. 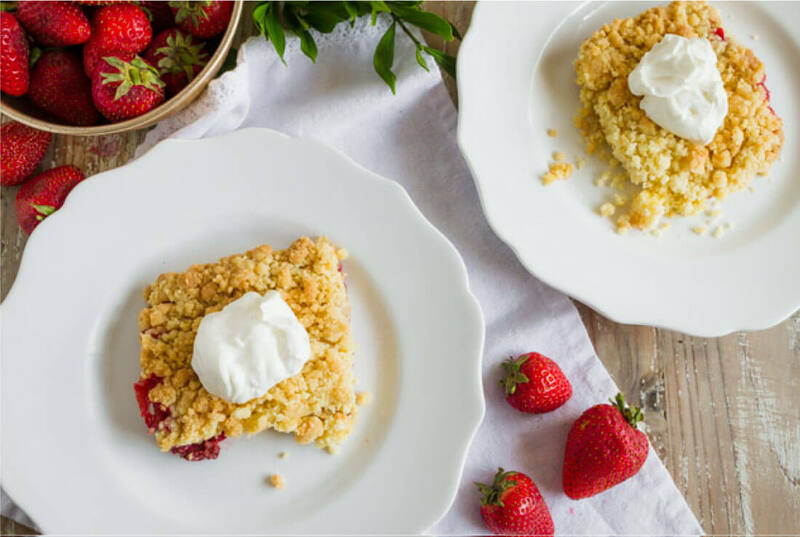 Download this Strawberry Dump Cake recipe to add to your kids recipe book. My granddaughters love to ‘help’ in the kitchen. These are so easy and I love you can use fresh, canned or frozen fruit. My husband’s Boy Scout Troop made these on camp-outs on a regular basis.